South Florida is a destination spot that many people choose to visit due to its beautiful beaches, entertaining nightlife, exotic food and much more. While some people think of the Keys, Miami and Fort Lauderdale, the city of Hollywood is a lesser-known location that offers just as much entertainment as those other locations. And with Hollywood’s great location, you can easily reach many other vacation destinations while enjoying your time. However, if you simply want to visit Hollywood, there is plenty to do to make an entire vacation out of it. Here are some things to do in Hollywood Beach, Florida. The Hollywood Broadwalk is one of the most famous attractions in the entire city. The “broadwalk” is a 2.5 mile paved beachfront walkway consisting of ethnic restaurants such as authentic Mexican, Peruvian, Argentinian, Italian, Armenian, French, Greek, and more. There are also 98 hotels along the way with a bike path that allows for not only bikes, but also Segways, trikkes, and scooters. Instead of walking down the broadwalk and sweating your tail off, cover the entire 2.5 miles, hop on a Segway, and take a guided tour for the time of your life! Ultimate Florida Tours offers exclusive private tours with comedy impersonations running from 7 a.m. until 11 at night! Another top attraction in Hollywood is the Seminole Hard Rock Hotel and Casino. Whether you are there to play the slots or tables, or simply enjoy some rest and relaxation in a great atmosphere, the Seminole Hard Rock is a place for the entire family. The Hard Rock offers non-stop gaming for those interested in gambling, so be sure to brush up on your blackjack skills before your vacation. The hotel also offers spa services, in case you want to get a massage or have your hair done while on vacation. Furthermore, the Hard Rock offers some of the best shows and entertainment that you will find in all of South Florida. For the artistic at heart, be sure to visit the Art and Culture Center of Hollywood. This center is one of only a handful of art institutions in South Florida and offers a variety of beautiful pieces and works. South Florida offers a unique and cultural influence that many other cities in America do not have. With such an influence from Spanish, Dominican and other worldly cultures, all of these customs are on display at the Art and Culture Center of Hollywood. If you want to get a bit of a history lesson while in Hollywood, considering checking out Port Everglades. The Port Everglades is the largest business port in all of South Florida. Each year hundreds of thousands of ships come through this port for international trade and cruise purposes. The hustle and bustle of the port is something that you truly must see. Not only are the massive ships awe-inspiring, but the sheer atmosphere is enough to make anyone take a step back and be amazed by the craziness of the port. 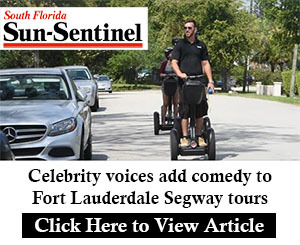 The Port Everglades is a major commodity of Hollywood and should be considered if you are looking for things to do while in Hollywood Beach Florida. Those looking for a more relaxing day of vacation should head over to Greynolds Park. At over 265-acres, this natural park is one of the largest in all of Florida. What makes it ever more exciting is the fact that it is located right in the middle of South Florida. Because of Florida’s beautiful weather, you can expect it to always be a great time of year to go for a stroll in the park. You can expect to see wildlife, people taking part in park activities, and much more. Because Hollywood is not always thought of in terms of major South Florida destinations, you can be sure that during your time you will have a relaxed and calming vacation. Be sure to consider the suggestions on this list for things to do Hollywood Florida the next time you are vacation!